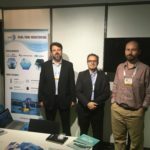 Representatives of Smalle Tech attended the AQUAHUB conference, held in the Consejo Económico y Social headquarters (Madrid, Spain) on 19 June this year and jointly organised by the Spanish institutions APROMAR and REMA. 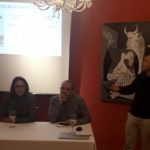 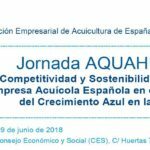 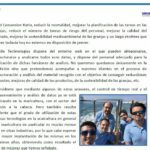 The event, entitled ‘Competitiveness and Sustainability of the Spanish Aquaculture Companies in the context of Blue Growth in the EU’, was focused on the definition of the strategic guidelines of the Spanish Aquaculture sector in that aspect for the next 10 years. 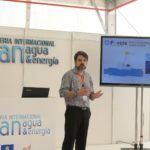 The AQUAHUB event dealt with three main topics: Planning, Competitiveness and Communication, and Social Responsibility. 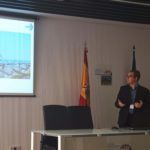 There was a brief presentation for each one of the topics, made by representatives of Spanish relevant institutions, such as ICSEM, CETGA, CTAQUA and the Cluster Acuiplus. 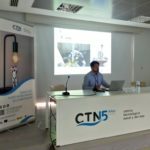 Following each presentation, there was a discussion with the participation of the attendees. 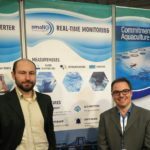 Smalle Technologies can contribute to the competitiveness and the sustainability of the Spanish Aquaculture sector, main topic of this event, with the sensing and remote monitoring solutions for fish farms that Smalle currently manufactures.